At a time when restaurants are opening and closing like books in a library, there are only a few that have survived. The one that have survived have done so on pure passion and the enthusiasm to serve the best food in the Kathmandu Valley. 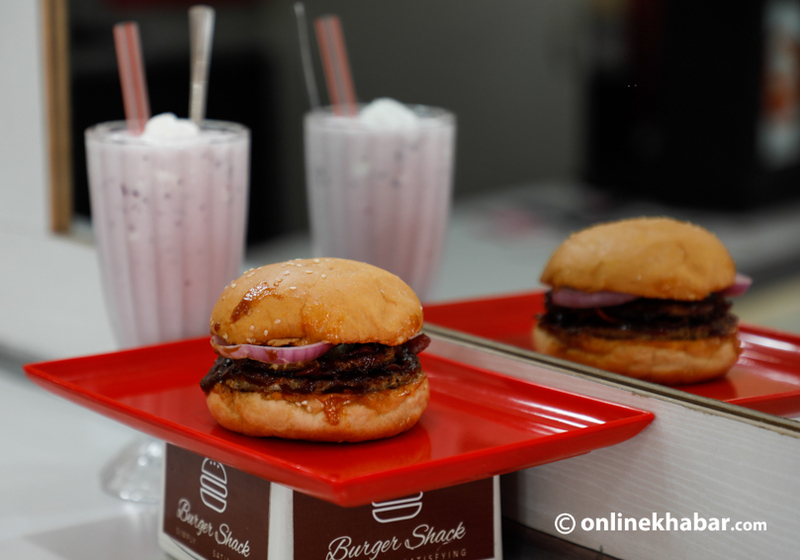 One such restaurant is Burger Shack, which over the years has been serving its patrons the best burgers in town. What makes the place different is the quality on offer. Though the price is a bit more compared to other burger places, the quality here is topnotch. The menu has been designed by Shrestha himself as he adds that he has taken the Nepali palate in consideration while preparing the menu. To see why they are so famous, we gave them a visit and tired a few of Shreshta’s recommendations. As a fan of bacon, we tired the baconizer. It had a double grilled chicken patty with bacon, jalapenos, onions, and bbq sauce. The burger tasted heavenly as the smoky bacon went well with the grilled chicken which just melts in your mouth. The bbq sauce and original sauce complimented the meat and enhanced the taste. Not satisfied by one, we also tried the New Yorker which was quite unique for our palate. The burger had spicy chicken patty topped off with bbq sauce and their original sauce. What made the dish unique was the pineapple topping. The burger was juicy and was both sweet and spicy; various flavours exploded in the mouth. With the two burgers, Shrestha also recommended their onion rings and mozzarella sticks. 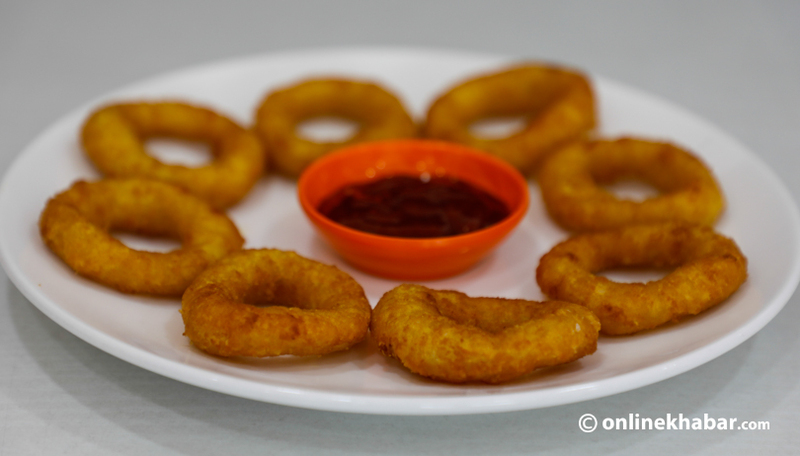 The rings were the best of its kind that we had tasted in Nepal. 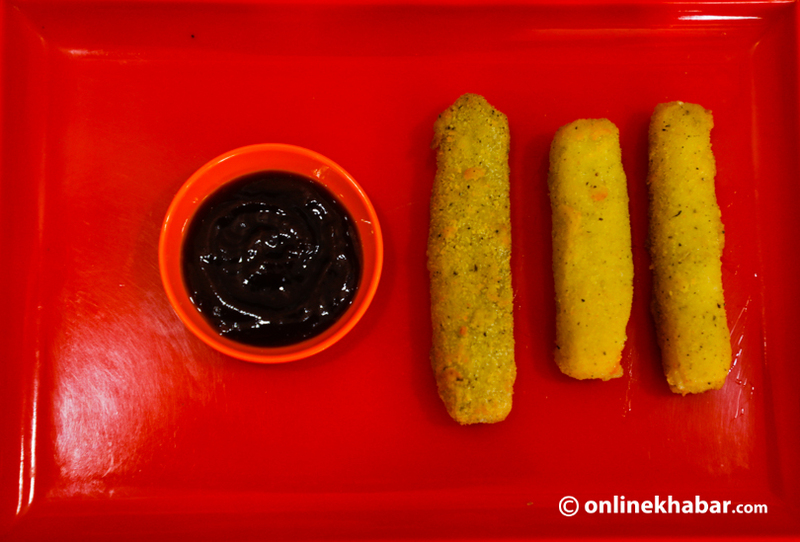 The mozzarella sticks were just as good; and were prepared in Burger Shack itself. They were so cheesy that they would melt right in your mouth. 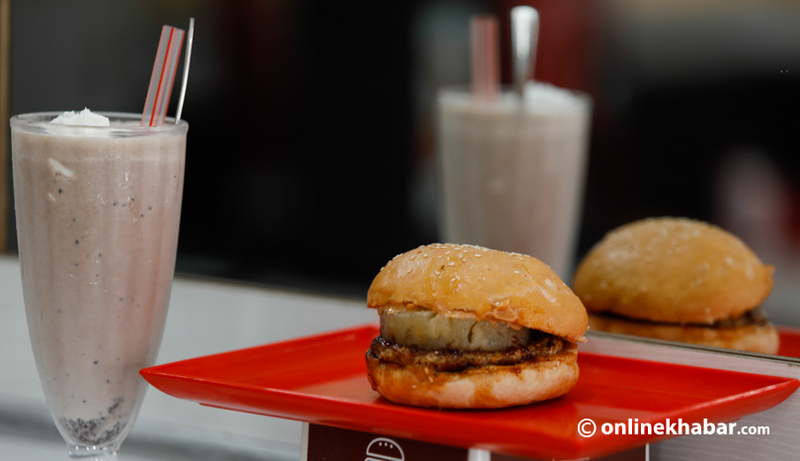 Along with the food, we also tried milkshakes which have gotten some great review by the patrons. The blueberry and the chocolate milkshakes were perfect on a hot day. The tastes were different to other milkshakes primarily because some of the ingredients added to them had been imported all the way from Turkey. The restaurant offers other burgers like the Quarter Pounder, BBQ Dream, Double Melt, American Cheese Burger and a few vegetarian options as well. For those who want to eat healthy, they also have a chicken salad option. Burger Shack has two outlets and both of them are neat and resemble any other chain burger restaurants around the world. The menu is not extensive as Shrestha believes that having more items on the menu will only decrease the quality and will also confuse the audience. What makes the place different to other burger places is that they make their own patty. Shrestha prepared the menu himself with the experience he collected over the decade. He personally trained all the staff members, a reason why the quality and the taste of the burgers haven’t changed over the years. 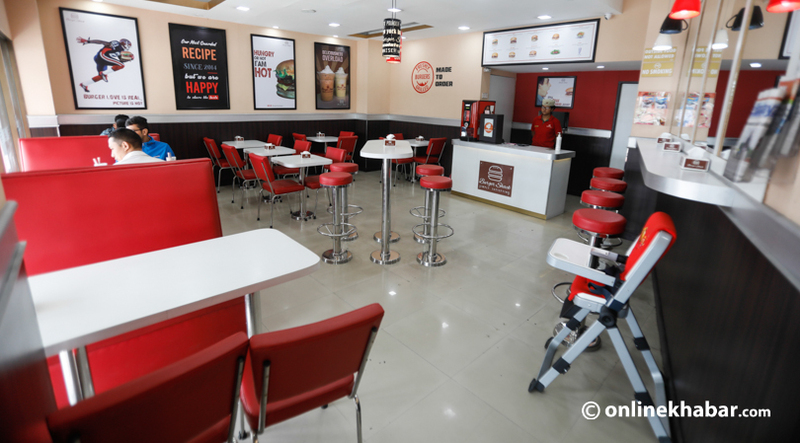 Overall, the place is great for those who love to enjoy a good burger. 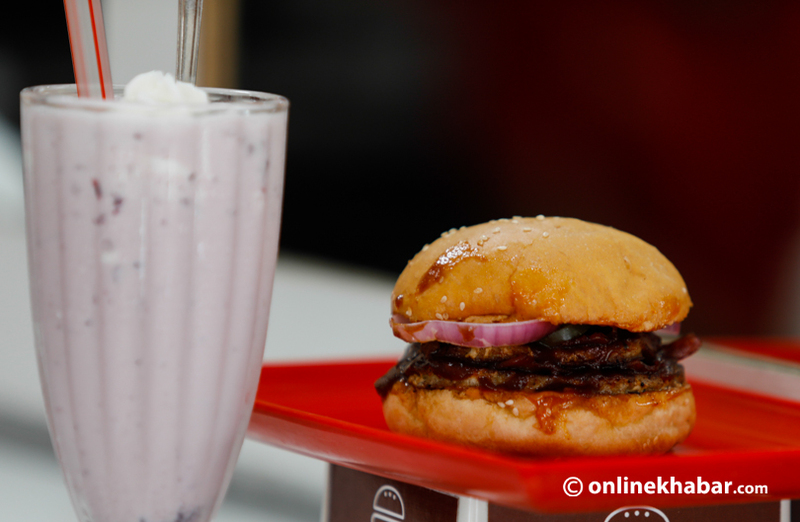 The restaurant offers authentic American style burgers, which is value for money and is ideal for kids too. The recently launched lunch time deal that serves chicken burger fries and coke for Rs. 250 is a proof of that. With added demand, the places is looking to expand and will likely open a store in the Maharajgunj in the next year.